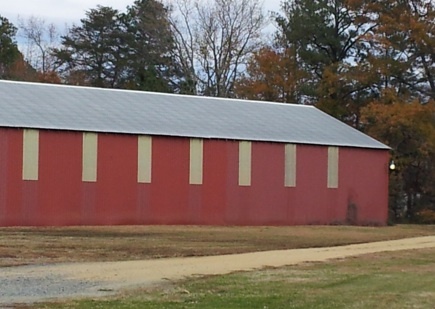 The Red Barn is a very large building on over ten acres in Oak Grove which opened in the late 1980's and houses almost 50 different vendor stalls jam-packed with antiques and other goodies. I try to visit here at least once every six months, though I should go more often because every time I go, it's not the same as it was before. If you see something you like when you are there, buy it because it will not be there when you return! In fact, I had my eye on a set of four barstools when I visited today. Alas, they probably won't be there when I return next weekend. What I like about shopping here is that you can take a left turn when you come in, and wind your way around to the last stall. It's not like some other antique malls where it's difficult to navigate your way around because of confusing corridors. This place was previously owned by Curtis Bartmess who retired from the U.S. Navy in 1991. He knew very little about antiques, so he attended auctioneering school. When Curtis (and co-owner Carolyn) ran the place, they held auctions twice a month and rented space to tenants. Junken Treasure is one of the tenants. 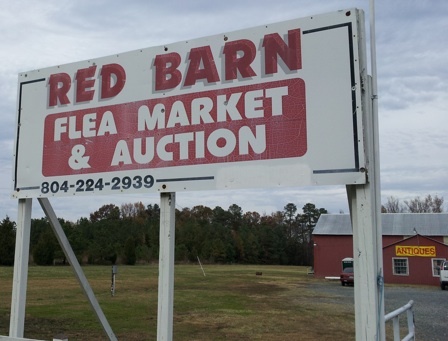 In fact, they rent a couple of stalls at Red Barn..
Once in awhile, they have HUGE yard sales out in the parking lot area. Usually early (7am!) on Saturday mornings in the summertime.